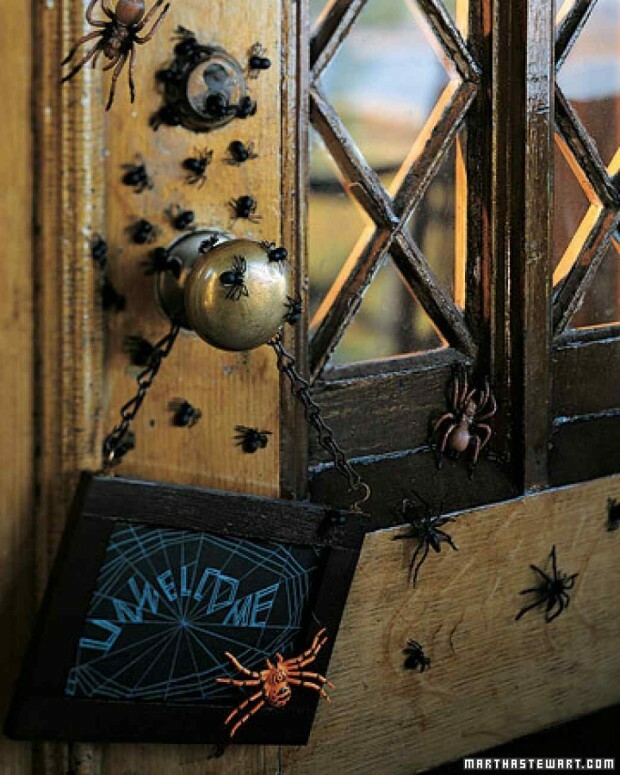 Transform your door into a cute, creepy monster kids will shriek out with delight to. You can make a Frakenstein door, a mummy door, a toothy monster, Jack Skellington, and many more. 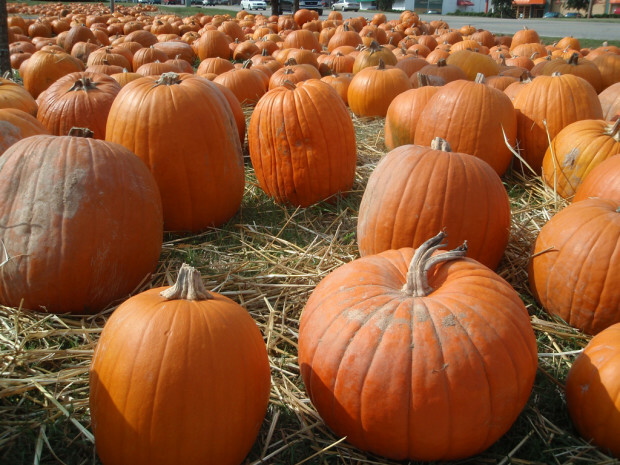 Re-create a pumpkin patch scene at your front door. 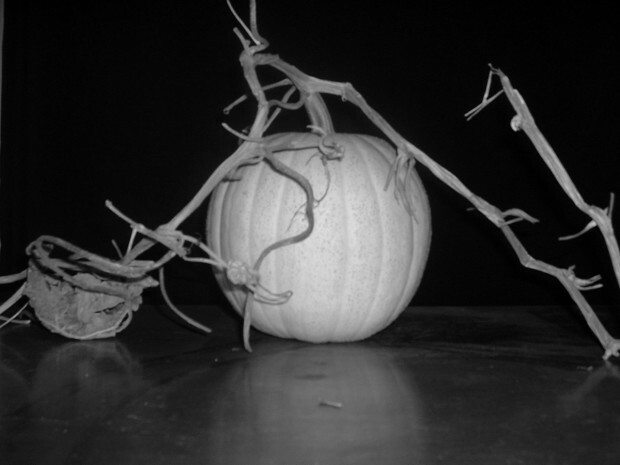 All you need are pumpkins, gourds, and hay. You can also add some pumpkin planters or these jack-o-lanterns made from orange tissue paper balls. Re-create the children’s favorite Wizard of Oz scene where the witch was struck down by Dorothy’s house. You’ll need a pair of stripped stockings, witch-like shoes, cotton batting, and glue. Cut the stockings to the desired length and fill them with cotton batting. Then glue the stuffed stockings to the welcome mat and add the shoes. 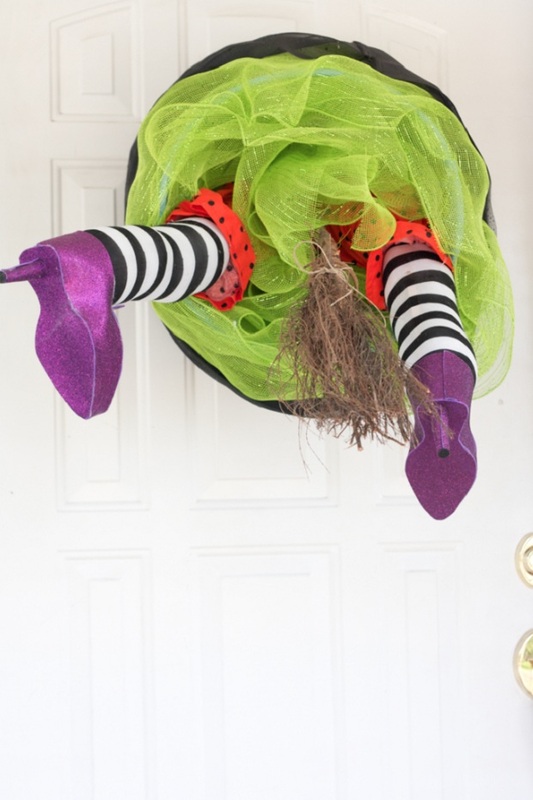 You can also choose to have this witch-sticking-out-the-door wreath instead. The full tutorial is over at The Alison Show. 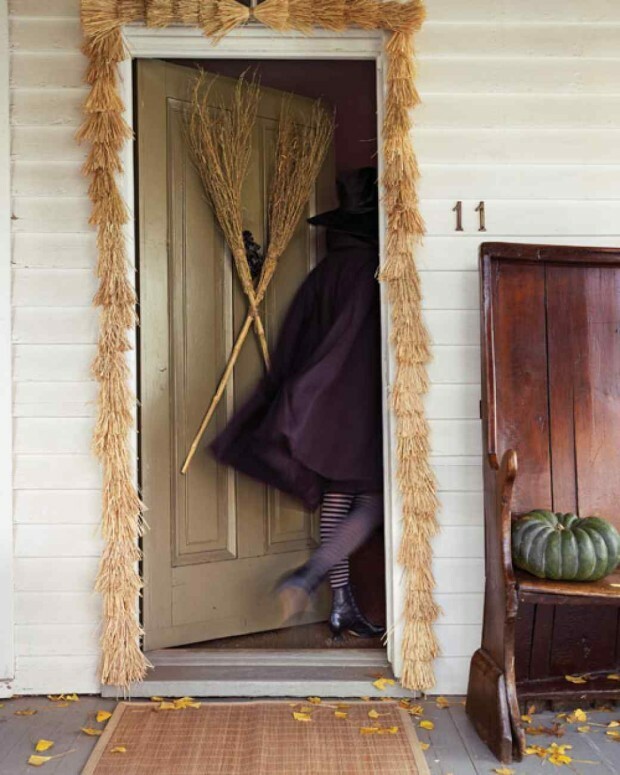 Or you can simply take two witch’s brooms and place them in an “X” pattern on the door, and create these raffia garlands to complete the witch’s entryway look. Because black and orange can be boring for Halloween, why don’t we trade them with a ghostly-white color theme? Country Living suggests this decor idea for the front yard, but you can easily see how this can be a pretty alternative for your front door. All you’ll need are white chrysanthemums, ornamental cabbage in cream-colored apple baskets, white pumpkins, and gourds. You can also hang lanterns or other battery-operated lighting. 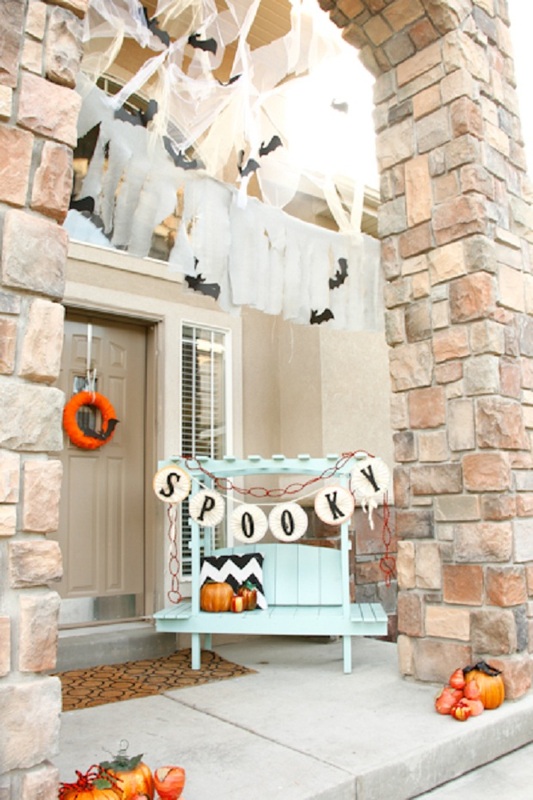 This picket-fence countdown sign is another great way to welcome Halloween. This could work well with the pumpkin patch theme above. 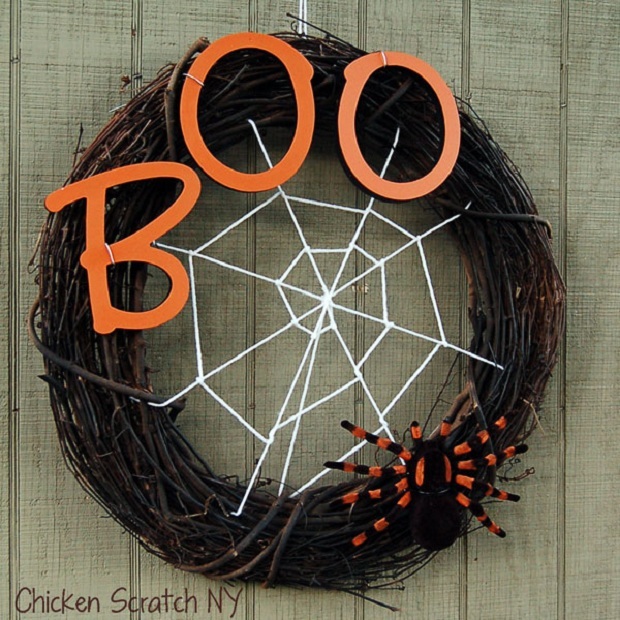 Another fun front-door Halloween decor is this spooky spider wreath by Alecia of chickenscratchny.com. She used a grapevine wreath, white yarn to make the spider webs, a toy spider, some paint, and other craft supplies. Check out the link above for the steps. 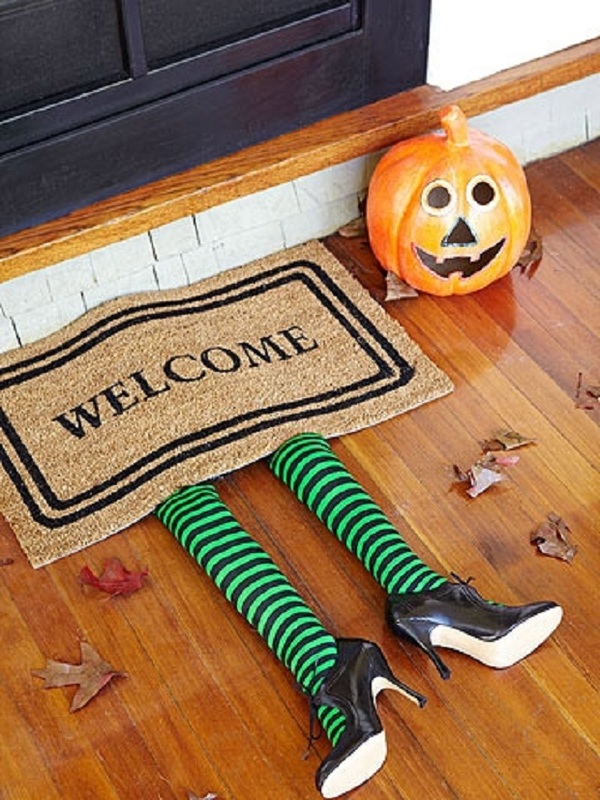 Other creative suggestions from BHG.com include a painted Halloween entry sign, a floormat that says “boo!”, a planter that says “eek,” and three pumpkins that say “trick or treat” stacked on top of each other. Forget white floating ghosts. 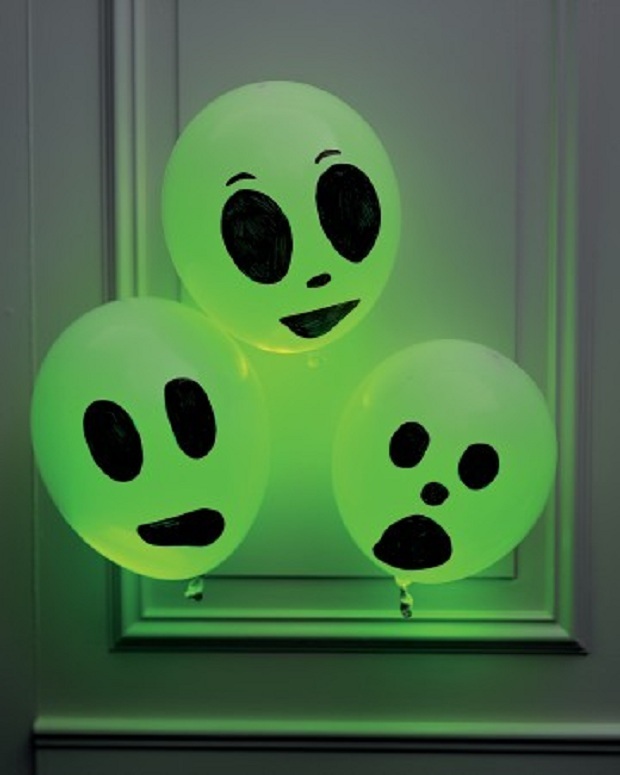 Create these glowing ghosts for a spookier effect, especially at night. You need white balloons and green light sticks. Just follow the instructions from Martha Stewart. 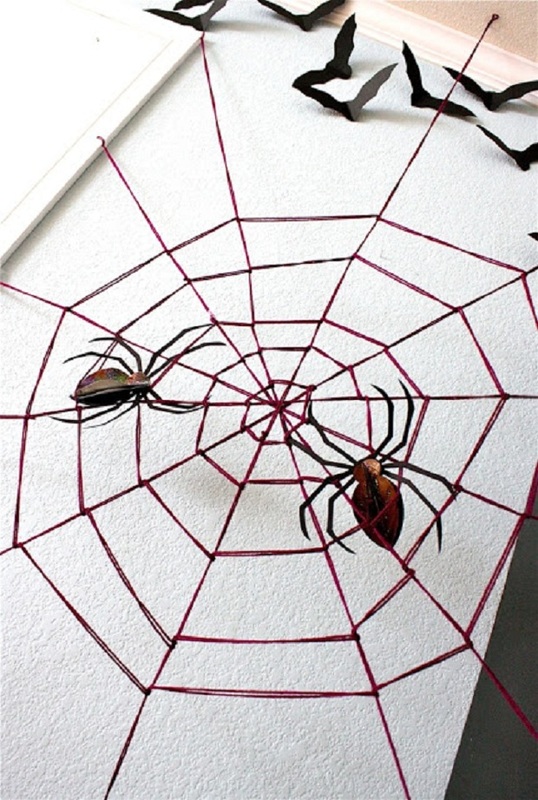 There are many great spider ideas you can try. Here are some of them. A trio of balloon spiders. You can always hang some bats at your front door or turn it into a bat cave, sans Batman. You can either use thick black paper or felt. If you’re not confident with drawing a bat, you can always use a template. 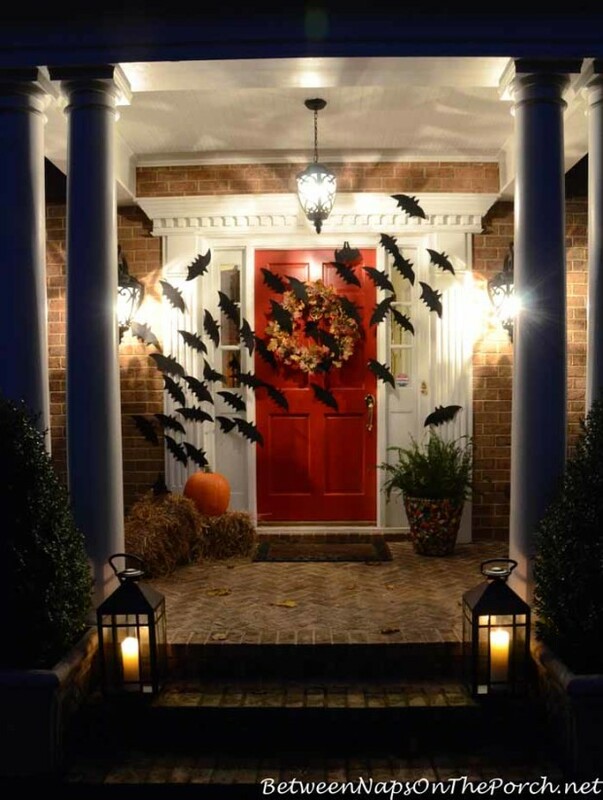 If you have a front door with a porch that has a high archway, this is a great Halloween DIY you can do. Kirsten used burlap for the web and black cardstock for the bats. Here’s the tutorial. 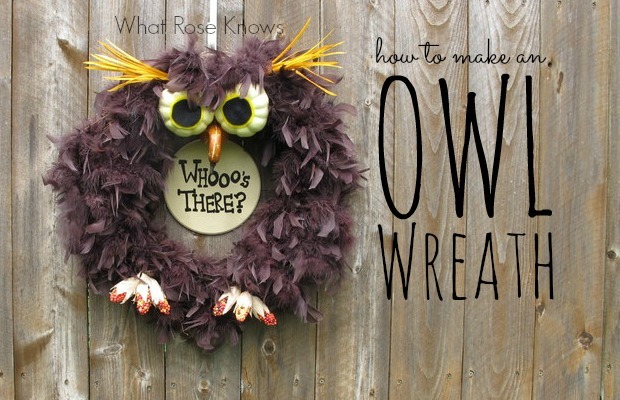 This owl wreath that says “Whooo’s there?” is simply adorable. Re-create it following this tutorial from whatroseknows.com. 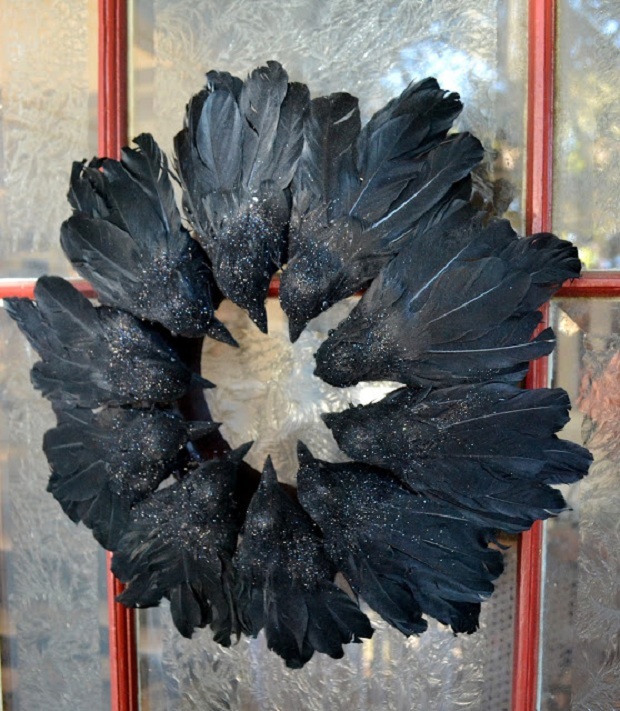 This wreath is easy to copy, and it instantly adds that Halloween ambiance to your place. You need fake crows (or any black bird you can find), styrofoam, and glue. Here are the steps. These front door decoration ideas are easy and fun to do alone or with the help of your kids or the entire family. It will also definitely show off your creativity. 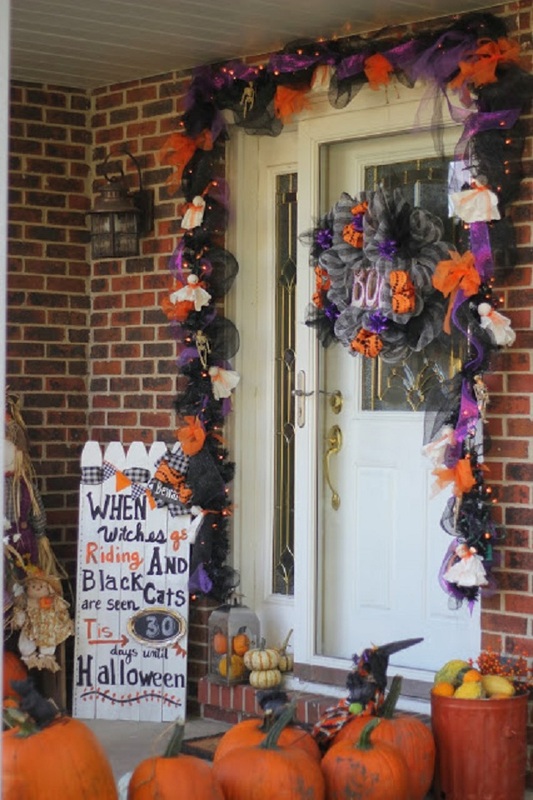 What’s your front door going to look like for Halloween?